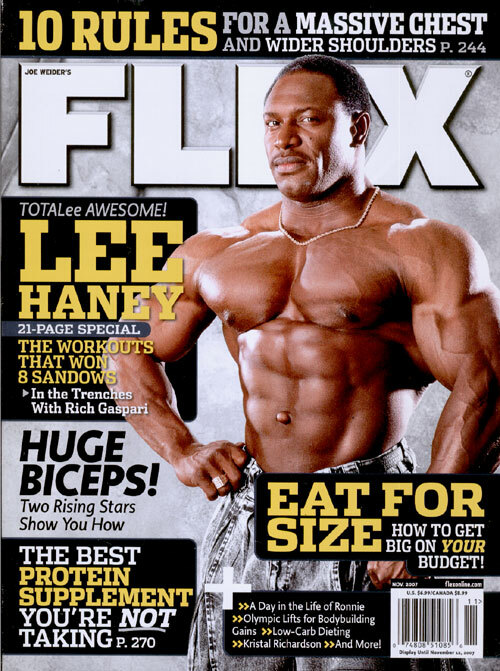 Lee Haney is on the cover. Cover issue price is $6.99 US, and $8.99 Canadian. 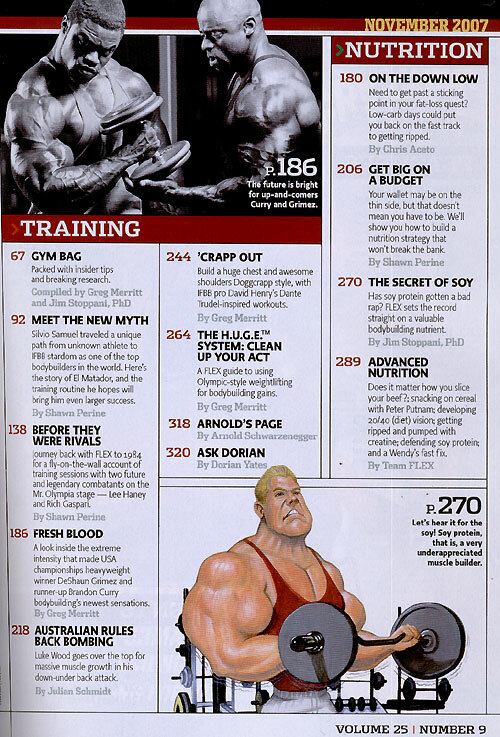 The Superfeature brings us back to the year 1984, where Flex revisits three days in the training life of the unlikely yet powerful training partnership of the future eight time Mr. Olympia Lee Haney and the three time Olympia runner-up Rich Gaspari.